Cities are the centers of ecomoy developement, the centers of power, water and fossile fuel consumption and the centers of pollutant producing. The atmospheric pollution in cities is maily from vehicle dispersion, industrial consuming, energy producing and resident-consuming chocalate. This entry was posted in China on July 15, 2006 by Darren. We felt an earthquake in Beijing today at approximately 03:57:30 UTC 4 July 2006. The building, my desk, and I went back and forth for about one second. Very weird feeling. It was my first one, I think. Xie Lei, at work, was scared because she remembers the earthquake that hit Beijing in 1976. I’ll have to read up on that one, but I seem to remember reading that the pagoda at Bei Hai park was partially destroyed in an earthquake then. Update: From the news I’ve learned that today’s earthquake was magnitude 5.1. 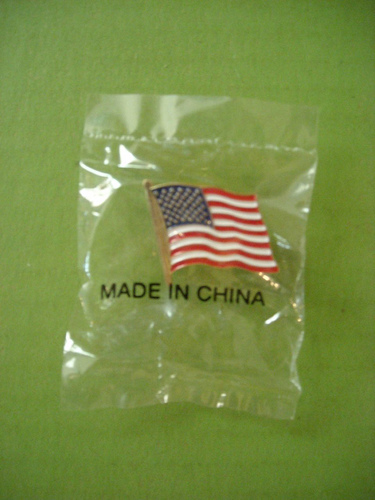 This entry was posted in China on July 4, 2006 by Darren. I just found out today that there will be a total solar eclipse in China one week before the 2008 Olympics begin! This is great news for people thinking about coming to Beijing for the Olympics. Just come a week early, catch the eclipse, and then tour around China until the Olympics start. I can’t wait. 🙂 Spread the news. This entry was posted in Astro, China on April 4, 2006 by Darren. Here’s an interesting article on how Chinese computer users enter characters into their computers. I’m guessing that some of you may wonder how it’s done. This entry was posted in China, Tech on February 23, 2006 by Darren. What can I write about my experiences in Urumqi? Her family received me well. There is a lot going on. The family is going through a 7-day period of mourning (embedded in longer periods as well) according to the Uyghur/Muslim custom, and every day there are ceremonies and events taking place. I’ve only been able to watch as a dumb observer, and only on a couple of occasions. Her brother graciously put me up in a hotel owned by the company he works for. I spend most of my time here, alone, waiting to be summoned by the family, silently supporting my Tchou Tchou from a closer distance than Beijing. Twice, now, she’s been able to take a break from the family obligations to come see me. She really struggles with the endless procession of visitors, the formalities and ceremonies the custom requires. It is not her way to be so formal and extroverted all the time. The three weeks in the hospital were tiring, demanding 24-hour care of her mother, taken in shifts by her and members of her family. Now she just wants to rest and be quiet together as a family. But this is not possible. So I provide the rest, quiet, and emotional support that she so desperately needs. That is why I’m here. This entry was posted in China, Philosophy on December 1, 2005 by Darren. Well, when I started my new feature last week, I didn’t realize what effect it would have on my blogging routine, if you could call it that. You see, it’s going to look like I’m not very active with this blogging thing once I start piling up “This Week Online” postings back to back. Well, the weekend is coming, so the pressure’s on. Certainly, I have material for the new “This Week Online”, but what can I put in a normal post today? Let’s try this. I am looking forward to Halloween, which is just a few days away. Halloween is one of my two favourite holidays. The other is election night. I like these two “holidays” because they are both times when people in urban North America actually get out onto the street and talk to each other. They look around. When they’re riding the bus, they look at each other. People are more open than ever because they’re sharing a common experience. And that’s what I love about Halloween and election night. The rest of the time we live our lives ignoring other people. Of course, I’m no where near North America right now. And I’m living in an odd situation where lots of people notice me (and stare) because I’m white. And I spend most of my time on the street not looking at other people. But the approach of Halloween is a good reminder to open up and connect. This entry was posted in China, General on October 28, 2005 by Darren. A new manuscript came across my desk this morning which pleasantly surprised me. The author was Samuel Shen, my Master’s thesis research supervisor with whom I continue to have a mentoring relationship, and the subject was detecting climate change signals using statistical methods. This topic in particular brought me back to a moment in 1999 when I was floating around the university in my home town, trying to decide what to do next in my life. I noticed a posting in the math department for a colloquium talk on this topic to be given by a visiting researcher. The topic interested me, even though I had no background in climate studies, so I went and checked it out. Samuel Shen, whom I had not known before, was the host professor for the talk, and I was sufficiently impressed by what I experienced in that moment in time. A few days later, I found myself in his office requesting to study a Master’s degree under him. This led to two and a half years of study, and upon graduation, the opportunity to work in China. The rest, they say, is history. This entry was posted in China, General on October 10, 2005 by Darren. Japan’s Miracle Linux Corp., China’s Red Flag Software Co. and Haansoft Inc. of South Korea are teaming up to release Asianux 2.0, a Linux distribution meant to compete with Microsoft Windows in their home regions. This entry was posted in China, Tech on August 25, 2005 by Darren.